Journalism student at Kingston University. Likes tea, two sugars please. As a budding journalist, the opportunity for a trip to the BBC Television Centre with Kingston University Journalism Society, was too good for me to miss. The tour of the iconic building began with a visit to the BBC newsroom - a massive space of activity that left me itching to get a job there. After being told about news gathering, we continued on to a studio dedicated for filming the news. The floor manager who was in there preparing for the 6 O'Clock News was kind enough to explain how the show is run and gave us a sneak peek at the famous news desk, so we could see what the news reader sees when presenting. After being whisked along a maze of corridors, we went to a viewing gallery where our guide explained a bit more about production and how everyone works together within the media industry, sharing studio space to make programmes. For example, some ITV programmes are filmed at the BBC Television Centre and some BBC programmes are filmed at the ITV studios on Southbank. Our guide was keen to stress that all BBC shows are filmed in front of a studio audience, which the public can get their hands on for free. Several more flights of stairs later and we reached where the weather rooms were located. Here, it was explained how green screens are used with a demonstration, whereby one student was made to look as if they were wearing Harry Potter's invisibility cloak. It was fascinating to learn that only one person, the presenter themselves, is in attendance when the weather is being read. Then we were taken to see a dressing room used by the likes of Lady Gaga and our guide told us stories of some celebrity demands. These ranged from the more normal request for fresh fruit through to the more outrageous, such as Mariah Carey's request for a litter of Labrador puppies. The tour ended with a visit to an interactive studio - a chance for the group to have a go at reading the news and partaking in a game show. Although there is no guarantee you will see any celebrities, the tour is a brilliant insight into the way the BBC works and well worth doing, especially as production is being moved to other locations throughout the UK. Pre-booking is essential and tours last around one and a half hours. 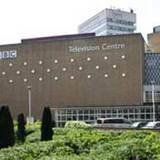 BBC Television Centre is easily accessible from White City and Wood Lane Underground stations.